NeoBulletin is a complete typewriter font, with complete sets in Latin, Cyrillic and Greek characters. In the same open type font you get also Central European, Vietnamese, Baltic, Turkish complete sets with all diacritic signs and punctuation marks plus extra characters belonging this ranges. 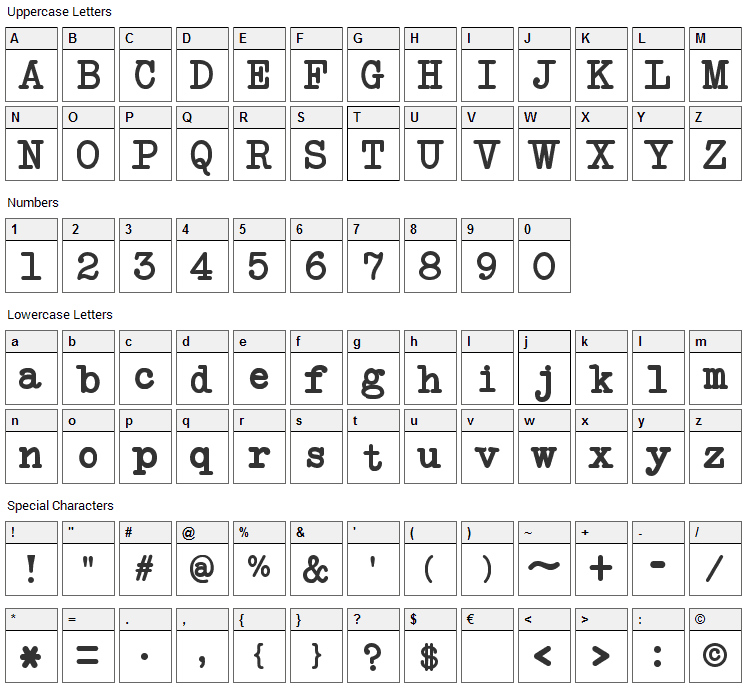 The complete open type font has over 600 glyphs. You have total access to these resources using software like InDesign, Illustrator, QuarkXpress and others. 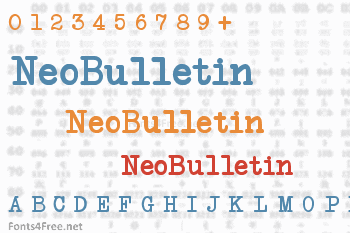 NeoBulletin font contains 224 defined characters and 199 unique glyphs. 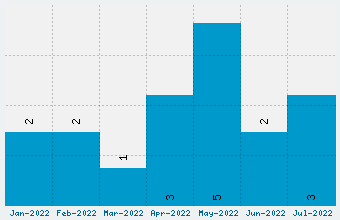 The font contains characters from the following unicode character ranges: Basic Latin (93), Latin-1 Supplement (92), Latin Extended-A (10), Latin Extended-B (1), Spacing Modifier Letters (8), General Punctuation (16), Letterlike Symbols (1), Mathematical Operators (1), Alphabetic Presentation Forms (1). NeoBulletin is a fancy, typewriter font designed by Intellecta Design. The font is licensed as Free for personal use. You can download and use the font free for personal projects. For commercial projects please refer to the license file in the package or contact the designer directly from new.myfonts.com.